I can see why Hugh Howey’s Wool is ripe for bestseller status: the hook is gripping, the characters are relatable, the sci-fi concept is intriguing, and Howey’s prose conveys the action with urgency and clarity. It doesn’t end up quite so satisfying to me, though. There is that one missing thing: depth of ideas. In my mind, this last thing is important (nay, essential) for any good fiction. 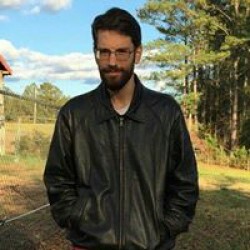 With science fiction in particular, the story needs the scientific idea as its core, with the scaffolding of plot and character imbuing that idea with life. What Wool has is an interesting idea, that there is a whole community of human being living in a great underground “silo”, the origin and purpose of which are unknown at the beginning of the story (and, as it happens, only dimly foreshadowed in this volume… apparently, one must read the next volume to get the origin story). The concept is interesting and has a lot of potential, and with the name “silo”, one must imagine a great apocalyptic event (nuclear or not) having necessitated its existence. As the plot unfolds, we learn a bit more about why things happen as they do in this silo society. These developments are indeed quite interesting, and I think that the story of Wool would have been more cohesive if the author had integrated the silo’s origin and purpose into this story. The plot moves along, for the most part, at an engaging clip, although the original format of the story (a series of novellas) hasn’t quite been successfully massaged into what used to be called a “fix-up” novel. At the beginning the sheriff of this silo has gotten his hands on some forbidden knowledge, and he’s got to go… outside. This means being exiled to the toxic environment beyond the airlock, which, despite the protection of an environmental suit, means that death comes within ten or fifteen minutes at most. What has the sheriff discovered? Why is it so dangerous to social order? These are intriguing questions. Answering these questions leads to the great unraveling of the mystery of the silo… unfortunately, this unraveling remains incomplete within the page of Wool, and the plot turns increasingly towards the misdeeds of a rather one-dimensional villain and the heroic escapes of an incredibly competent engineer figure (a familiar type from Golden-Age sci-fi, the only real difference here being that the hero is female). These central characters could have used a great deal more depth, their status as hero and villain never being in question, the result being that they never achieve plausible Personalities but remain mere Characters for the duration of the story. These deficits are all the more lamentable because the concept really is interesting and Howey’s prose displays some capacity for thoughtfulness despite its apparent transparency. That said, I did enjoy what unraveling there was; I even found the action scenes (which got in the way of what I really wanted) almost unbearably intense. I don’t mean the third-act battles (which are somewhat by-the-numbers) but rather the impossible threats to survival that the heroine must navigate. While I considered them distractions, they were amazingly effective distractions. 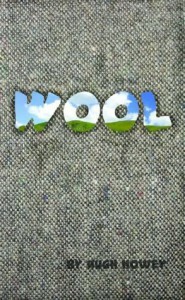 It’s no wonder that Wool has been optioned by none other than Ridley Scott. Final word: read it for action, read it on the beach, but don’t expect the promising world of Wool to reach its full potential. I’ll just have to be satisfied with what I’ve got; I won’t be moving ahead to the sequels.